There is widespread love of Hawaii in Japan. There are Hawaiian decorations, Hawaiian accessories, Hawaiian dance classes and, of course, Hawaiian restaurants. One of said restaurants is "Aloha Table" (website: http://www.alohatable.com/about/) which has a branch in Perie Chiba above the JR station. 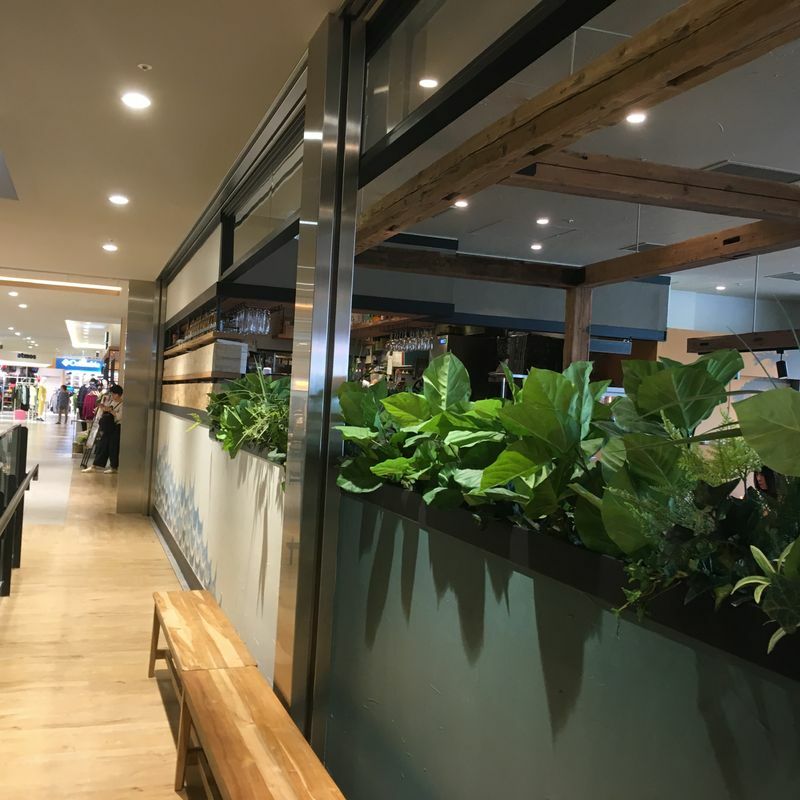 There is a huge effort to make an ambient atmosphere that channels ideas about Hawaii - lots of wooden furniture and greenery, beating ceiling fans, cute ornaments and many, many flowers. The open windows with the air conditioner on full blast probably make for eye-watering electricity bills, but it does make for a lovely relaxed and pleasantly balmy atmosphere. There is also a terrace outside for when the weather is nice. 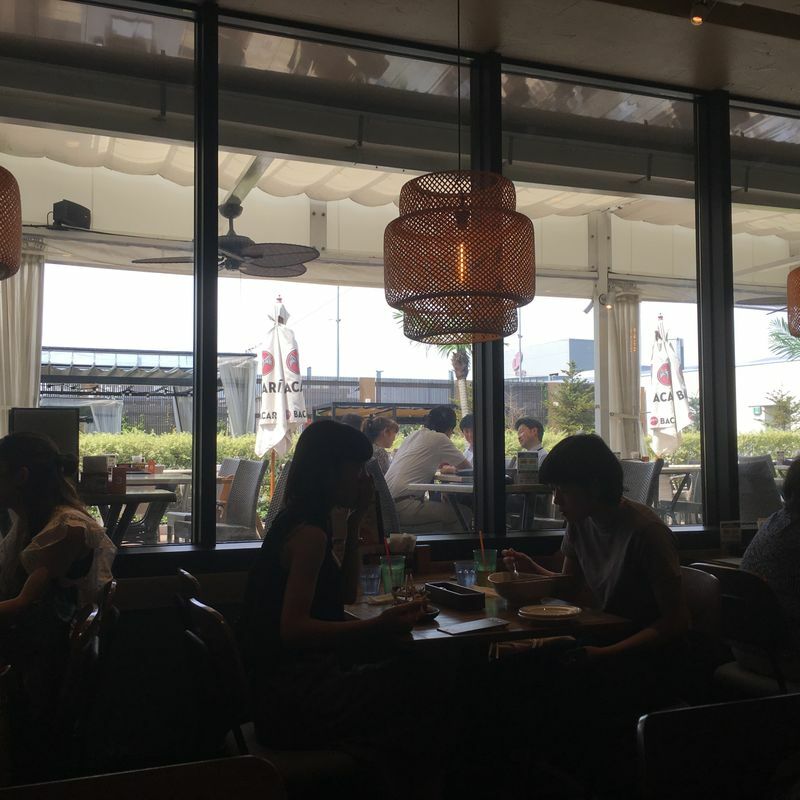 In short, they have certainly done everything in their power to make their diners forget that they are in a bustling shopping mall above a very busy railway station. Most importantly, though, the food is delicious! I ordered the garlic soft shell shrimp and it was gorgeous, served with fragrant rice, smooth pumpkin salad, smoky pasta salad, a tangy green salad and potato wedges on the side. 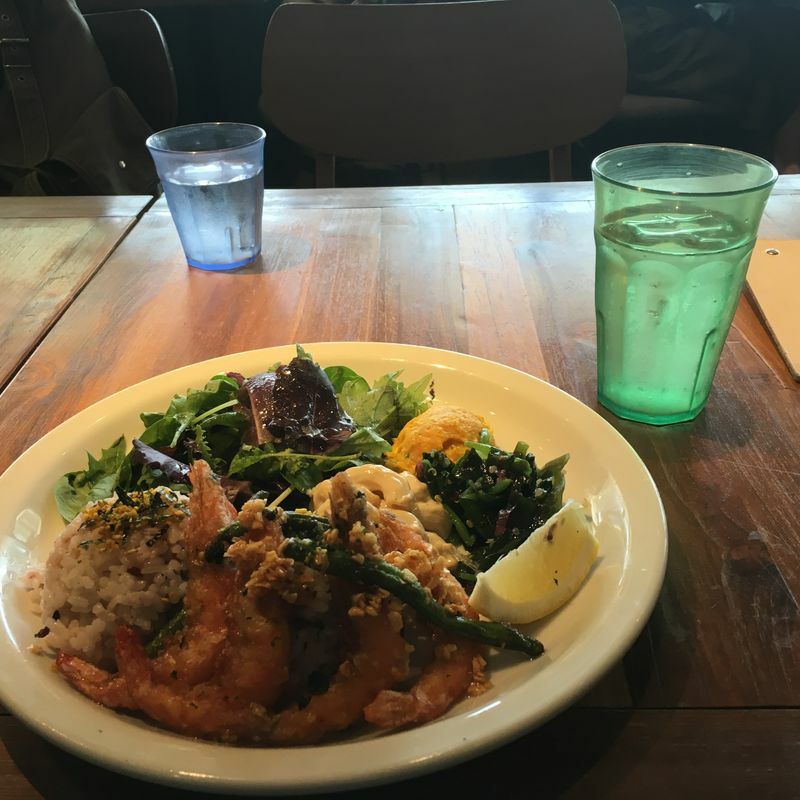 The menu features a typical variety Hawaiian themed food that appeals to Japanese tastes, with lots of shrimp, loco moco and very fluffy pancakes. The drawbacks to dining here are slight. The price was under 1500 yen, which seems fairly typical for lunch in this particular shopping mall but still a bit more than I'd usually pay personally. Aside from the (slight) price issue, Aloha Table other problems are mostly it being a victim of its own success. The lines to get in are often long and the tables pushed a bit too close together, making it difficult to get in and out of seats and to tune out the noisy conversations of those nearby. I liked it a lot, though I’d probably take some friends if I returned rather than go alone again, as the atmosphere definitely seems more conducive to groups. It’s definitely nice if you want some tropical escapism without going far from home. Tips: - This is another restaurant with free Wifi! - Beware the seating arrangements - if you're at one of the sofa-style tables and trying to get out to get to the drink bar, for example, you may run the risk of pushing your backside into someone's lunch - Consider the possible wait time. The place is decent in size and surrounded by competition, but it really is popular and it doesn't take long for people to start lining up. - The terrace is gorgeous but I can only imagine how crowded it gets when the weather is good!